Global healthcare cloud-based analytics market is categorised into Technology/platform, component, service model, deployment model, pricing model, delivery model, application, and end-user. Based on technology the market is segmented into predictive analytics, prescriptive analytics, and descriptive analytics. By the component, the market segmented into hardware, software, and services. By service model, the market is categorised into software-as-a-service, information-as-a-service, and platform-as-a-service. Deployment model is categorised into the private, public and hybrid cloud. By the pricing model, the market is segmented into pay-as-you-go and spot pricing. Delivery mode is categorised into on-premise, web-based and cloud-based. By application, the market is segmented into clinical, financial, administrative and research data analytics. The end-user industry is segmented into healthcare payers, healthcare providers, pharmaceuticals, biotechnology, academia, and research. Among all these clinical information systems, software-as-a-service, private cloud, pay-as-you-go software and healthcare providers are accounting for the significant shares in the healthcare cloud analytics market. 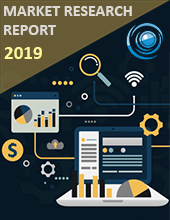 Geographically, South America holds a substantial percentage of overall cloud analytics market and is expected to have exponential growth during the forecast period.